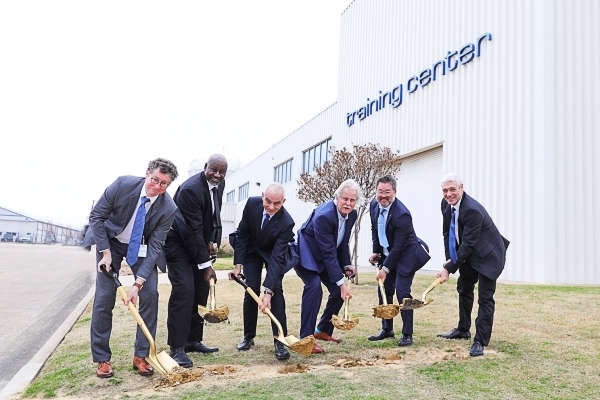 Airbus Helicopters Inc. and Helisim have broken ground on a new, state-of-the-art helicopter pilot and maintenance crew training center in Grand Prairie, TX. With an initial investment of $40 million, the Helisim Simulation Center will provide introductory and recurrent training to thousands of pilot personnel each year. The first stage of the new facility is scheduled for completion later this year when the first new Thales Reality H Level D full-motion flight simulator will be delivered. Helisim, a joint venture of Thales and Airbus Helicopters and a global leader in helicopter training, will develop and operate the simulation center. The center will house the first Level D full-motion flight simulators in North America for Airbus H145 and H175 helicopters, two high-tech civil helicopters, which are now entering wide use in the Americas. The new center represents a major international expansion of France-based Helisim, which brings 18 years of experience in simulation training for Airbus Helicopters aircraft. Eventually, the North American training center will expand to include an H160 simulator, once that helicopter model is certified and production is underway. The center also incorporates the existing training facilities of Airbus Helicopters Inc., including its H125/AS350 full flight simulator and H135/H145 flight training device. The venture is expected to bring several thousand pilots and maintenance personnel to Grand Prairie every year, sometimes for two weeks or more, supporting the growing local economy in Grand Prairie.